New England Folklore recounts the life of Ann Hibbins, a 17th-century Bostonian whose downfall began when she complained about what she thought was shoddy work by a carpenter on her home. One thing led to another, and in 1655 she was convicted of witchcraft. The General Court, on which her husband had served before his own death (from natural causes), upheld the conviction and she was hanged on Boston Common on June 19, 1656. Mayor Walsh's office announced today it's hired Weston & Sampson of Boston to help the city figure out how to improve the Common with $28 million from the sale of the old Winthrop Square garage. Read more. A man who was having a good time chatting with two strangers he met on the Common early Tuesday went home with them - only to wind up being grabbed by the shirt collar and threatened with a knife unless he transfer money from his bank account to them, police say. Read more. With Redcoats firmly ensconced in Boston 250 years ago, they weren't going to tolerate major infractions among troops - such as desertion. J.L. Bell recounts the execution of Pvt. Richard Eames of the 14th Regiment on the Common for desertion. Boston Police report arresting just one person early this morning for allegedly getting out of hand after the Sox won the series. J.L. 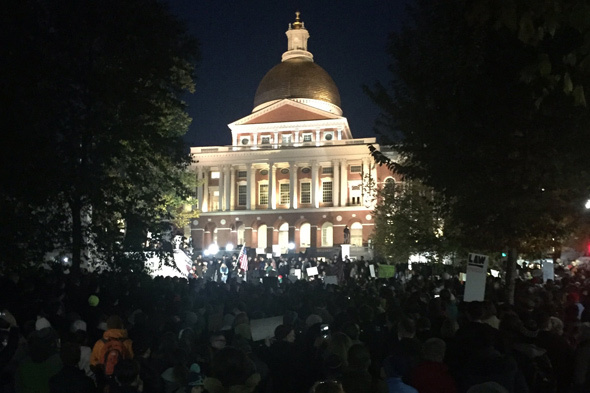 Bell brings us back 250 years to a Boston under occupation. 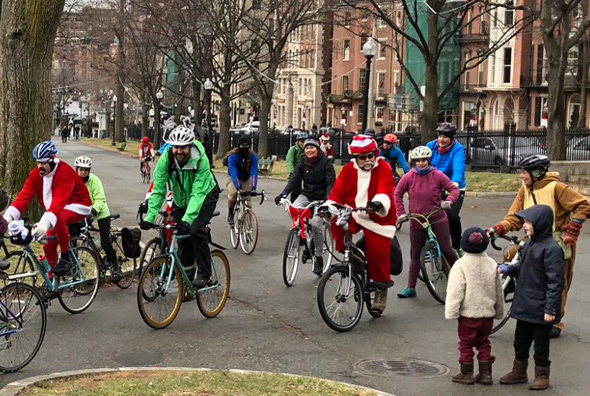 The City Council agreed today to hold a hearing on the annual Freedom Rally on Boston Common and whether it can be turned into a less of a mess or whether the three-day event has to be moved somewhere else. Read more. 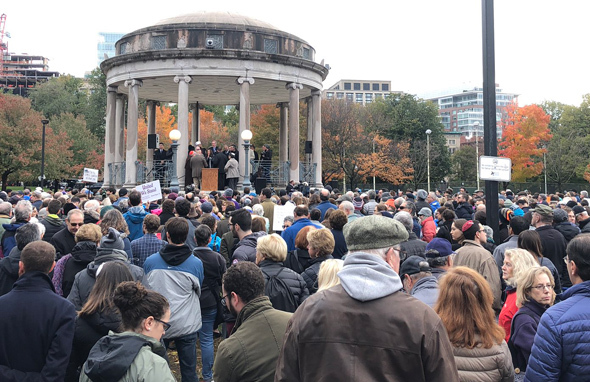 City Councilors Josh Zakim and Ed Flynn, whose districts meet in Boston Common, say they're tired of complaints about the marijuana-focused Freedom Rally on the Common every September and that it's time to move it somewhere else. Read more. 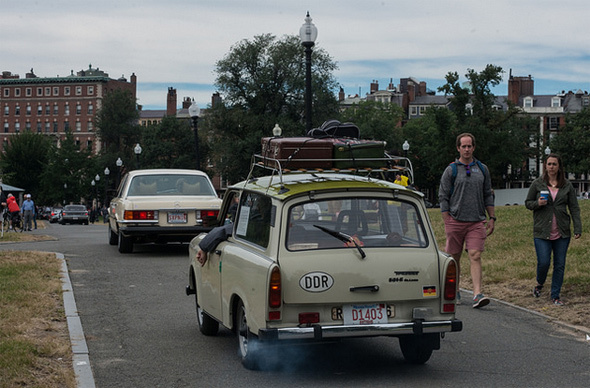 Redsox223 took in the Boston Cup car show on Boston Common yesterday, which included an East German Trabant sputtering down one of the lanes. Stevil checked out the cars as well, including this shinier model, an Allard: Read more. 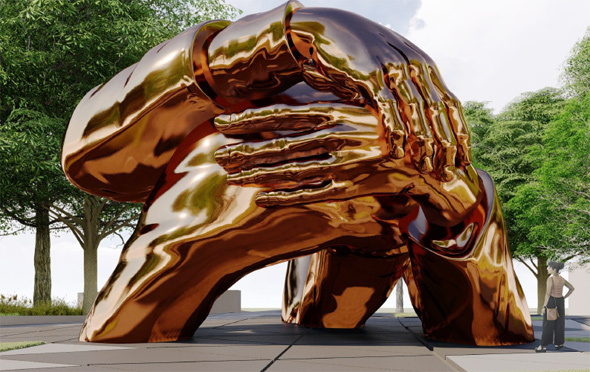 "The Embrace" by Hank Willis Thomas and MASS Design Group. 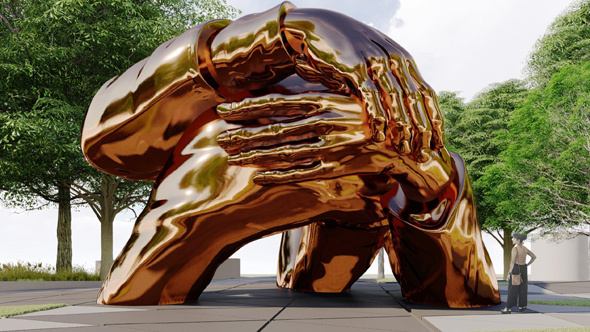 The city and MLK Boston yesterday released the five finalists for a proposed memorial to the civil-rights leader and his wife - both of whom studied in Boston, where they met - on Boston Common. Drawings of the five proposals are now on display at the BPL main library in Copley Square. 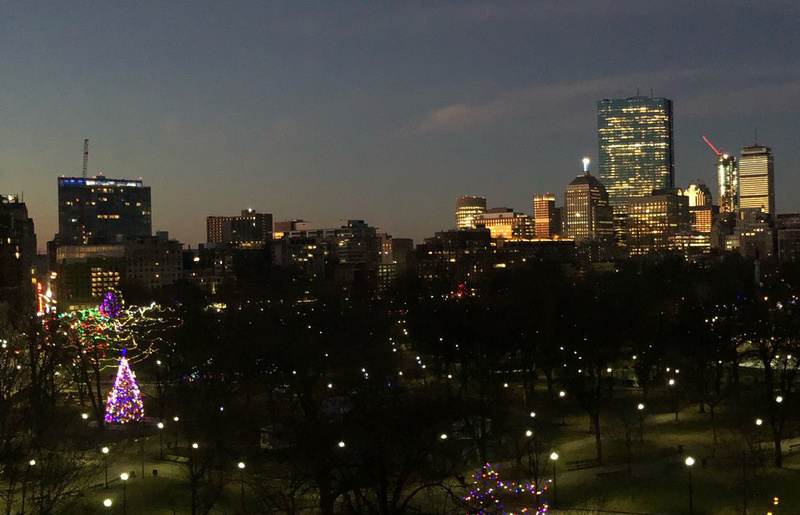 They vary in size - one would include large walkways in black stone that would continue across Beacon Street to the grounds of the State House - and proposed location on the Common. Read more. 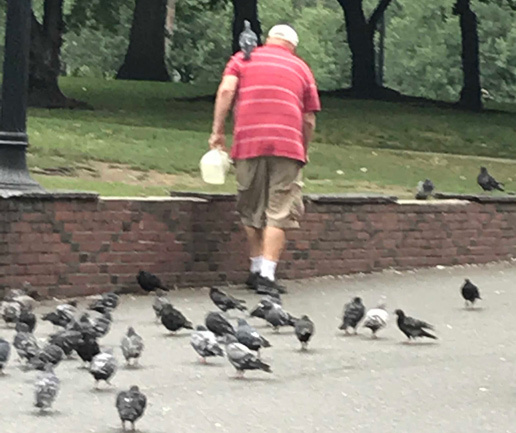 Emily from Somerville watched this Common regular clean up after some pigeons on the Common today - as one of the birds supervised his work. A Suffolk Superior Court ruled yesterday Boston Police did nothing wrong when they ordered an upstate New Yorker in town for some hating on the left last August to surrender his body armor and helmet - and then arrested him when they found a loaded semi-automatic gun hidden in the armor. Read more.